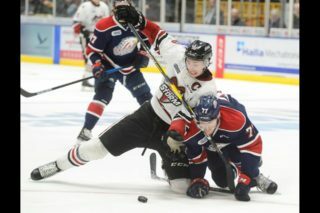 KITCHENER – The Kitchener Rangers big dogs found their bite Friday night at the Aud. 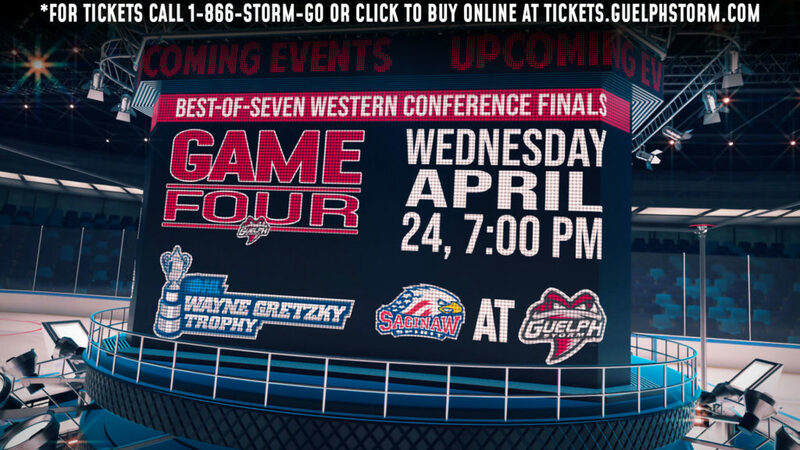 The Rangers scored early and they scored often in a 10-2 blowout of the Guelph Storm in Game 5 of their opening round playoff series. 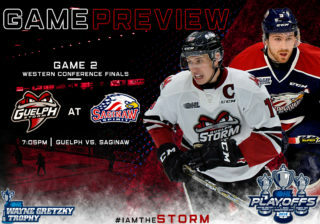 Guelph trails the series and will try and fend off elimination Sunday afternoon at the Sleeman Centre. “We weren’t very good. We looked tired, we looked timid and they kicked out butts,” Storm coach George Burnett said. “We can moan and groan about it and make lots of excuses or we can come to work tomorrow and see the evidence, make some adjustments and then I think we’ll find out a lot about our group on Sunday afternoon,” Burnett said. Kitchener led 3-0 after the first period and 5-0 before Guelph got on the board midway through the second period. Turnovers, missed defensive assignments and players getting back late could be identified on almost all of the early goals. Anthony Popovich, who allowed the first seven goals over 40 minutes before being replaced, was the victim of a terrible defensive game overall, particularly by the forwards. The high-end Rangers snipers don’t need any help. “When you allow them to skate and take away time and space that’s going to happen,” Burnett said, adding that the Storm took too many penalties. Kitchener scored on two of their eight man advantage opportunities. 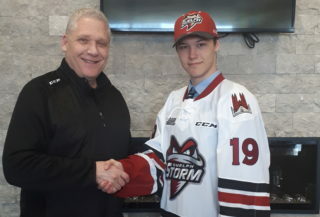 Continue reading at GuelphToday.com here.